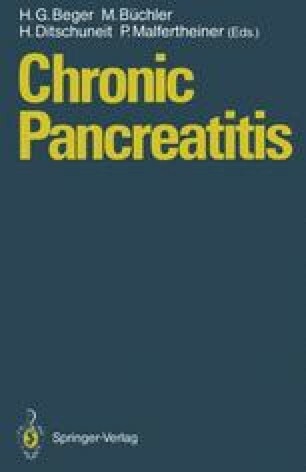 Patients with chronic impairment of pancreatic exocrine function usually present with abdominal pain or with diarrhea, steatorrhea, and weight loss. Those patients who have abdominal pain as their chief complaint may develop diarrhea, steatorrhea, and weight loss or may always have abdominal pain as their major symptom and never evolve to frank exocrine insufficiency. Approximately 15% of patients with chronic pancreatitis never manifest abdominal pain and present initially with diarrhea, steatorrhea, and weight loss.